This program is designed for two Indian urologists to visit a North American host institution(s) for up to a six-week period and spend an additional week at the AUA Annual Meeting. During these visits, the scholars will have the unique opportunity to observe urologic operations and procedures (no hands-on), and attend clinics and staff activities. Visiting scholars will be provided a stipend to support their stay in the United States. One scholar should be a Pediatric urologist or have a strong interest in Pediatric urology, and will visit Cincinnati Children’s. The other selected scholar may be in any urology sub-specialty area, and their host institution will be determined at a later date. 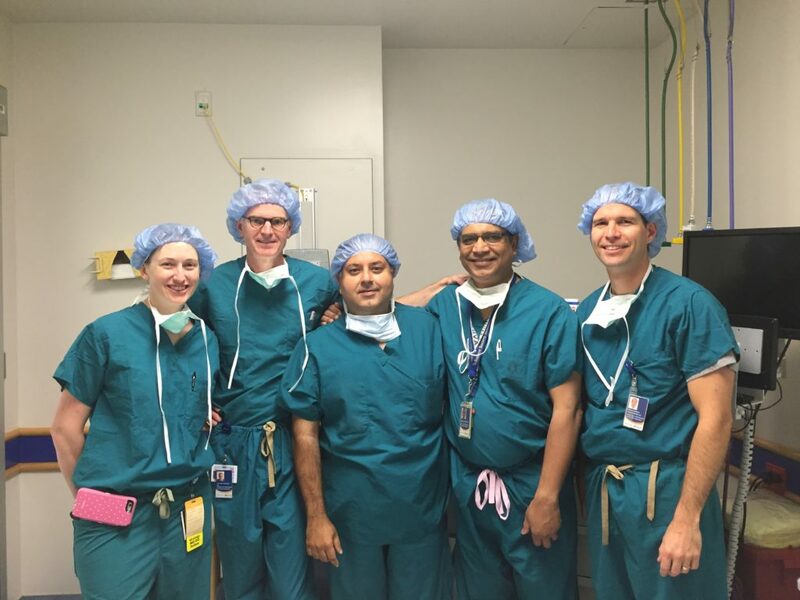 Dr. Vasudeva, center, during his Fellowship in 2016.